DISNEY ON ICE PRESENTS LET’S CELEBRATE! PRESENTED BY STONYFIELD YOKIDS ORGANIC YOGURT IS COMING TO HARTFORD, JANUARY 13th-17th! Tickets are now on sale. Produced by Feld Entertainment, Disney On Ice presents Let’s Celebrate! Presented by YoKids is performing at Hartford's XL Center from January 13th-17th for 8 performances. Make an ordinary day extraordinary when Disney On Ice presents Let’s Celebrate! Presented by Stonyfield YoKids Organic Yogurt brings more than 50 Disney characters to your hometown for one colossal party on ice! This action-packed, all-new show features a magical montage of celebrations and is set to a blend of contemporary music and favorite Disney songs. Join Mickey Mouse and Minnie Mouse as they celebrate a Very Merry Unbirthday Party with Alice and the Mad Hatter; Mardi Gras with Princess Tiana and Prince Naveen; a Royal Valentine’s Day Ball with the Disney Princesses; a Hawaiian luau with Lilo & Stitch; a winter wonderland with Woody, Jessie and Buzz Lightyear; a Halloween haunt with the Disney Villains and more in the celebration of the century. Disney On Ice presents Let’s Celebrate! Presented by YoKids will be a memorable and uplifting experience for the whole family! 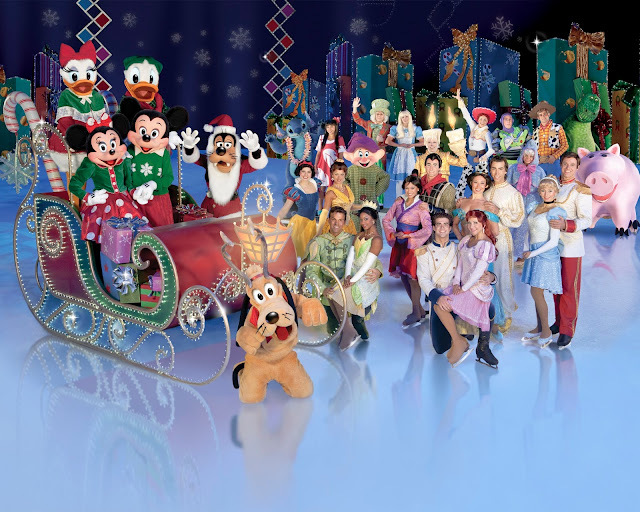 Tickets for Disney On Ice Presents Let's Celebrate start at $15 for select performances. All seats are reserved. Tickets are available at XLcenter.com or by visiting the XL Center Box Office. For group rates and information, contact Group Sales at 860-548-2000. Restrictions and fees may apply. Feld Entertainment invited my family to be their guest at Disney On Ice Let's Celebrate Opening Night in Hartford, January 13, 2016. I am so excited to share our experience, so please stay tuned! To learn more about Disney On Ice Presented by Stonyfield YoKids Organic Yogurt, visit www.DisneyOnIce.com. This looks so fun! My daughter is just getting old enough that she would love to go see Disney on Ice. I need to tell my sibs about this their kids would love this. My cousin has two little ones that would enjoy this as well. Thank for letting me know about this. wow, i love disney movies and characters! Let's Celebrate - looks so interesting and definitely a fun way to enjoy new year with family.